Today on Google’s 19th birthday, it introduced a brand new easter egg which allows you to play the famous Snake game in search. Miss the good old Nokia days? I am sure that you would have played the iconic Snake game at least once in your lifetime. Today is Google’s 19th birthday! Google keeps on introducing new doodles for various occasions. Today is no exception. Today’s doodle presents a spinner that spins through 19 different surprises to mark the 19th birthday. Out of the 19 surprises, 18 are past doodles—such as Tic-tac-toe, Pac-Man, among other games on Google—they have launched over the years. Snake game, launched today, is one among them. 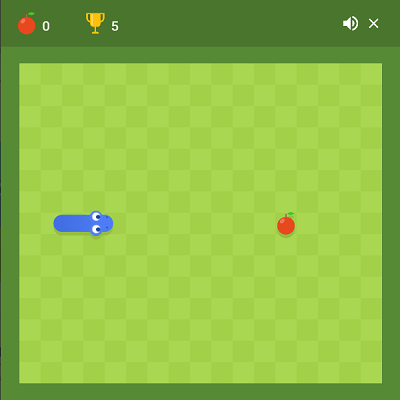 The Snake game on Google works on the desktop, mobile version, and the Google app. All you have to do is just search snake on Google. Select the Click/Tap to Play option to start playing. Depending on whether you are using desktop or mobile, the controls will be shown. If you are on the desktop, you can use the arrow keys on the keyboard to move the snake. You need to tap the direction you want to move if you are on mobile. Search for “snake” on Google to play the game. There is just one classic mode—you need to lead the snake to eat the fruits to make it grow long. The game is over when the snake hits the border or its own body. As you play the game, the number of fruits eaten and the high score is calculated. You can also turn off the sound by clicking the speaker icon at the top-right. Happy playing and have a dose of nostalgia!